CINCINNATI -- When Mackenzie Farmer Low looks down Montgomery Road near her Pleasant Ridge home, she sees what others see when they look at Hamilton Avenue in Northside, or Erie Avenue in Hyde Park, or Warsaw Avenue in East Price Hill. She sees a safety hazard. "A lot of people breaking the speed limit and no one enforcing the traffic laws in our neighborhood," she said. She described the stretches of Montgomery and Ridge roads running through the Pleasant Ridge business district as "comparable" to these other known hot spots for speeding. Low would know: She heads up Pleasant Ridge's traffic committee, Pleasant Streets, a group of volunteers that poll residents' safety concerns along the East Side neighborhood's busiest streets. "We're just fed up," she told WCPO. IN DEPTH: How far has Cincinnati come toward more people-friendly streets? In 2016 -- along with residents from dozens of neighborhoods across Cincinnati -- Low and her team submitted a list of priorities for making Montgomery Road safer. Two years later, the neighborhood is still waiting to see many of those improvements implemented. 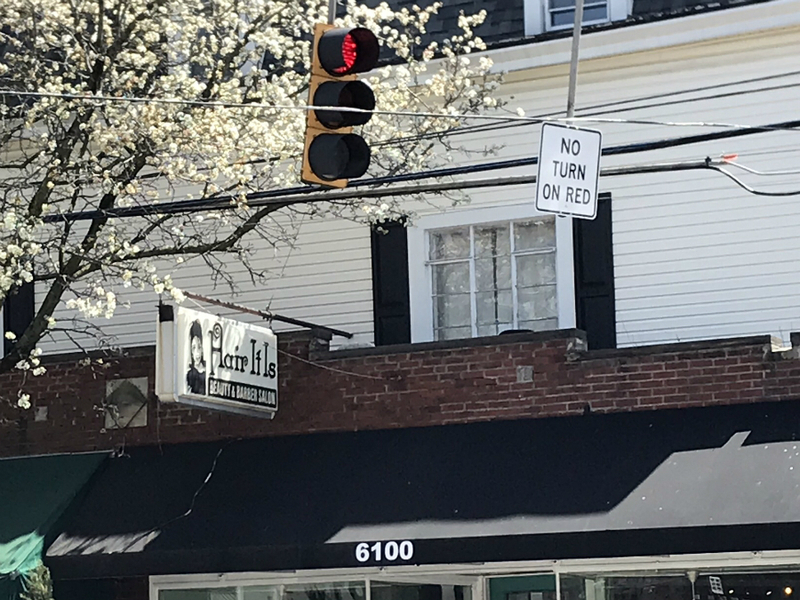 After a pedestrian was struck March 22 at the intersection of Montgomery and Ridge, multiple residents -- including the president of the Pleasant Ridge Community Council -- wrote to the mayor and city council, renewing their plea for more safety improvements. "We in Pleasant Ridge have been warning the city of this being imminent for two years," wrote PRCC President Bill Frost in a March 23, 2018 letter to Mayor John Cranley and members of city council. "Yesterday (we) had another pedestrian hit on a crosswalk. "Based on the delays in our requests from the city... I believe they are directly responsible for this latest accident." Some of the requests for the corridor were humble: fresh crosswalk paint, more speed limit signs, stricter rules for turning at red lights. Others were more lofty: some new traffic signals, reduced speed limits in some areas, re-striping Ridge Road, bike lanes on Langdon Farm Road a few blocks from the business district's central square. City Manager Harry Black responded to Frost and others' remarks in a memo released April 6, describing an upcoming overhaul of the entire corridor, scheduled to begin in 2019. It will be a $2.5 million "road diet" that will restripe the road into five 10-foot lanes -- one travel lane in each direction with a center turn lane, and two parking lanes. The current configuration is six 9-foot lanes. "This will provide a safer travel pattern during the off-peak hours," Black said in the memo. "The addition of the turn lane will also provide for left turns at intersections that currently have no turn permitted." As for some of the a la carte safety improvements, the city has completed some, but others have been delayed due to budgetary restrictions, Black said. Turning on red lights at multiple major intersections is now restricted all day, every day, for instance. "Most people who walk the neighborhood on a regular basis have been very happy with that," Low said. 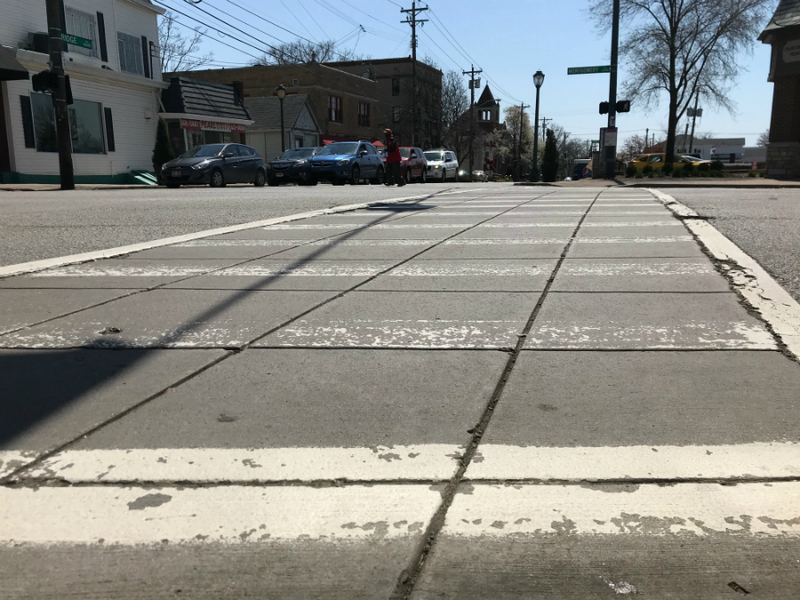 The city also repainted multiple crosswalks throughout the business district, but due to concrete pavement -- versus asphalt -- that fresh paint has already begun to deteriorate, Black said. With next year's overhaul of Montgomery Road, those concrete strips will be removed, Black said. Other improvements, though, such as relining Ridge Road or adding bike lanes to Langdon Farm, couldn't fit in the DOTE's budget, Black said. Even reducing the speed limit on Losantiville Road from 35 miles per hour to 25 is proving to be a maze of red tape. Ohio law requires state approval, pending a speed study, for any speed limit changes. Black said that speed study on Losantiville is scheduled for this month. The hoops required for many of these improvements present one of the biggest obstacles to Low and her team's efforts. "It's a constant struggle between residents seeing what they see on a daily basis and actually having the department get what they need to warrant things," Low said. Also lacking, Low said: speed enforcement. As WCPO has reported extensively , traffic enforcement -- including speeding citations -- have decreased dramatically in recent years. Between 2015 and 2017 alone, speeding citations decreased by nearly 40 percent, according to a WCPO analysis. In 2017, there was one speeding citation issued on Ridge Road near Molly Malone's Irish Pub and Restaurant. Police issued no other speeding citations in the neighborhood's business district last year. Here's a map of every speeding citation issued in Cincinnati in 2017. To zoom, use the +/- buttons in the bottom left corner. Hamilton Avenue -- a stretch well-known for speeding and pedestrian-involved crashes -- saw zero speeding citations last year. "Why would anyone follow the laws if they know they're not going to get caught?" Low said. A WCPO analysis of data from the Ohio Department of Public Safety found that Cincinnati has consistently had the most crashes per resident of Ohio's biggest three cities since 2012. READ MORE: Has drop in enforcement made Cincy streets more dangerous? In the meantime, Low said she still looks forward to working closely with the city to get these improvements done. "We're going to keep doing what they tell us to do," she said. "We're not going to give up on it." Ultimately, it comes down to saving lives, Low said. "We're trying to prevent a death in Pleasant Ridge," Low said. "To wait for that to happen for change, it doesn't make sense." Cincinnati police are expected to deliver a report on pedestrian safety and enforcement efforts next month. Pleasant Streets will present to City Council's Law and Public Safety Committee Monday, April 16.